Challenged by damaged airports and seaports, ramped-up aid delivery follows criticism that FEMA wasn't doing enough to help. 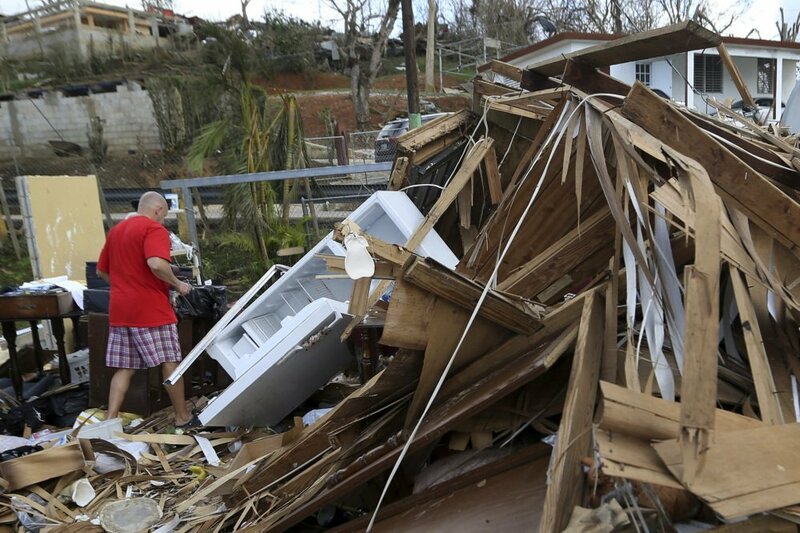 WASHINGTON — The Trump administration said Tuesday that it is sending a flotilla of ships and thousands more military personnel to Puerto Rico to address the growing humanitarian crisis caused by Hurricane Maria. The administrator of the Federal Emergency Management Agency, Brock Long, said the devastation wrought by the Category 4 storm presented logistical challenges, with badly damaged airports and seaports making it difficult to get aid and personnel to the stricken island. Long said 16 Navy and Coast Guard ships were in the waters around Puerto Rico, with 10 more ships on the way. They include the USNS Comfort, a Navy hospital ship. Planes and ships were also bringing in a military force numbering in the thousands to help distribute aid. Military aircraft were dropping food and water to areas of the island still isolated and unable to receive help by road, he said. “We’re dramatically increasing the federal footprint that’s there,” Long said, speaking outside the White House. The shift, six days after the storm made landfall, came amid a growing chorus of criticism that the federal response so far had been insufficient and fallen far short of the responses to hurricanes Harvey and Irma. The Pentagon said the number of active duty military personnel would grow from about 2,500 to possibly double that number in the next several days. An Army brigadier general will take over command of the military response, which will include additional medical facilities and satellite communications equipment. The USNS Comfort is expected to leave Baltimore by Saturday and arrive in Puerto Rico three to five days later. The military response also will include a civil affairs unit from Fort Bragg, North Carolina, that will be used to help communicate with the residents on the island, Cornelio said. The unit will use loudspeakers, trucks, leaflets and text messaging to get needed information to the public. Additional national guard forces are also being sent in to provide more security on the island. Those forces will be under the command of the governor, and could be used around fuel access points where there have been some security problems. Long said the federal government has provided 4 million ready-to-eat meals and 6 million liters of water. That would account for less than a day’s supply for each of the island’s 3.4 million U.S. citizens. 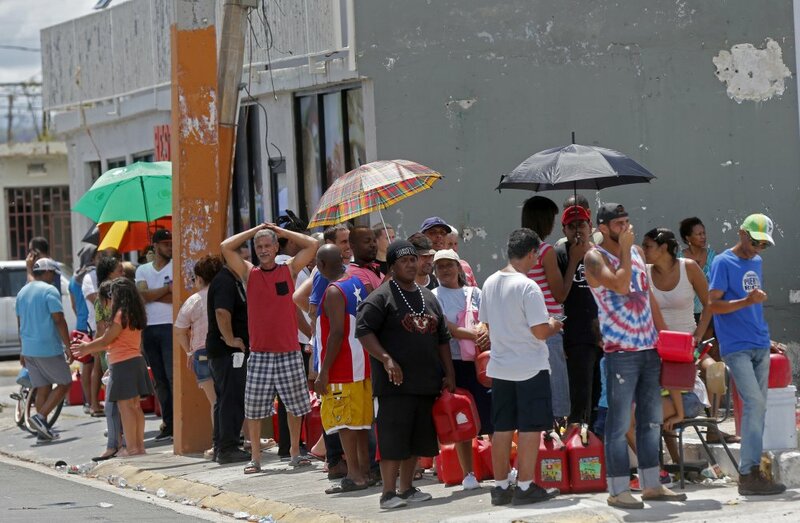 Large sections of the territory remained without adequate food, water and fuel Tuesday. Flights off the island were infrequent, communications were spotty and roads were clogged with debris. Officials said electrical power may not be fully restored for more than a month. Long stressed that coordinating the response in Puerto Rico offered greater challenges than Hurricane Harvey and Hurricane Irma. “It’s an island. We don’t just drive trucks and resources onto an island,” Long said.